A girls’ trip to Mexico fails to save a fraying friendship between three women who harbor more resentment than affection for each other. 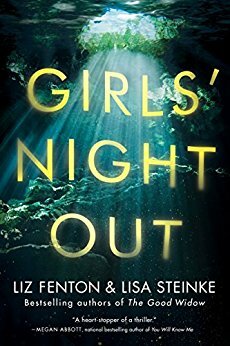 In a last-ditch effort to save their friendship, estranged girlfriends Ashley, Natalie and Lauren fly to Tulum, Mexico for a girls’ getaway. They hope that with margaritas in hand and beautiful beach vistas, they can mend what’s been broken once and for all. But even as the trip begins, we discover they are each there for different reasons, each hiding secrets and grievances which fuel the growing tension and animosity. As tempers flare and past hurt resurfaces, it becomes clear what they once before had can never be recovered. Their last night together morphs into a blur of hostility and heavy drinking, and when they wake the next morning, one of them is missing. Trouble is, Lauren and Natalie can’t piece together what happened that night to help find Ashley—wife and mother to two girls. Through alternating chapters of then (beginning of the trip) and now (post disappearance), we discover what really happened, what each is really hiding, and what really happened to this spirited mother of two. Fenton and Steinke (authors of THE GOOD WIDOW), deftly explore the intricacies of friendship—just how knotted and frayed those threads can get through the years. Thrumming with tension and laced with shifting suspicions, the story takes unexpected turns that keep you fully absorbed until the shocking end. No doubt about it, this trouble in paradise will keep you rapt.